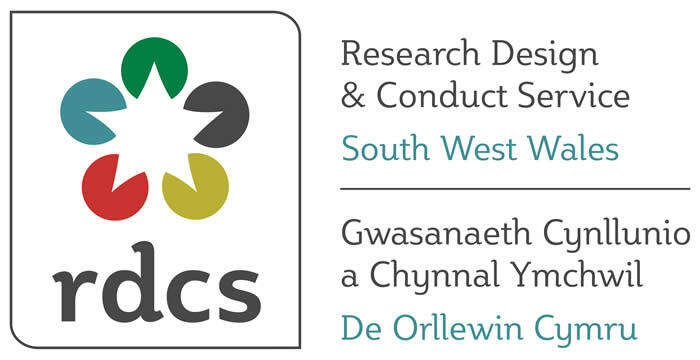 The All Wales Research Design and Conduct Service (RDCS) is a free service that helps develop high quality research in Wales. It is funded by Health and Care Research Wales and operates through three trials units across Wales with support from the Welsh Health Economics Support Service (WHESS) and Language Awareness Infrastructure Support (LLAIS). The RDCS based at NWORTH provides access to a team of experts in applied research methods. The RDCS offers support and advice on all aspects of developing a quality research proposal for NHS and Social Care staff engaging in research. It consists of team members based in NWORTH, Wales School for Social Care Research (WSSCR), LLAIS and WHESS. The team works with professionals who want to design quality research proposals for submission to funders. The RDCS based at NWORTH has the strategic lead for social care research within RDCS and works closely with WSSCR. Expanding on RDCS’s excellent record of supporting health care professionals, the team is working with WSSCR to ensure that social care professionals find the RDCS accessible and beneficial. RDCS has committed to working with Social Care Wales and Health and Care Research Wales to facilitate the implementation of the Social Care Research and Development Strategy for Wales 2018–2023. LLAIS is embedded in NWORTH and provides a strategic lead for the RDCS to facilitate trial participation through the medium of Welsh in order to meet the regulatory and governance requirements of the devolved bilingual Wales without compromising scientific rigour. LLAIS guides researchers with timely advice on embedding language awareness within key stages of the research process, including study design, sampling, recruitment, consent, data collection, administration of health measures, data analysis, report and dissemination. Health economics is the study of how we use scarce resources to meet our health and social care needs in society. The Welsh Health Economics Support Service (WHESS) is funded through Health and Care Research Wales to support health and social care researchers, and improve health-related decision making across Wales. We support those wishing to undertake research through direct enquiries and as part of the RDCS. We provide health economics expertise and support to academic health researchers, NHS and social care researchers and local authorities in Wales from the early concept stages of proposal planning through to analysis and final reporting and dissemination.